I just love the nasi padang dishes from Nasi Padang River Valley located at Zion Road. There was a time we even used to lug too many takeaway items for small home gatherings, asked for lots of curry sauce and reused later by adding our own chicken from the supermarket. That was a time when calories & cholesterol did not enter the calculations. 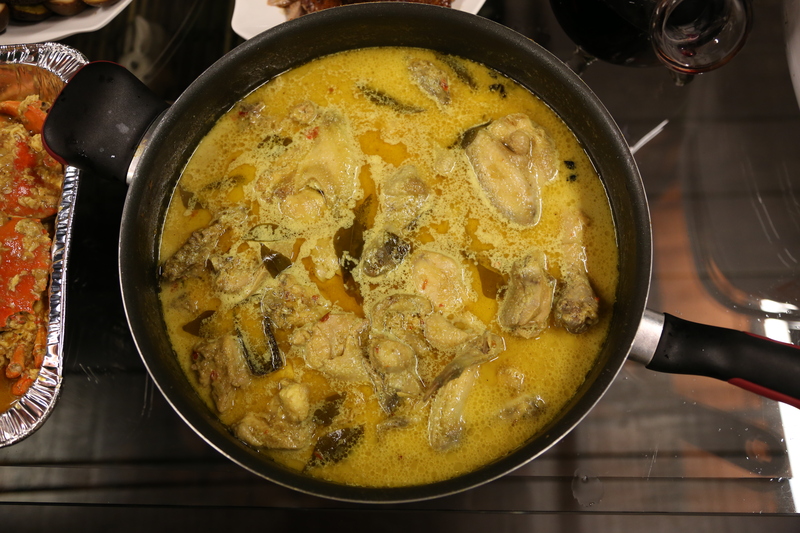 Anyway I didn’t think I could cook curries or had any interest to, until I came across this nonya curry chicken recipe & decided to just give it a try – WTH right? I then add sea salt and sugar to taste and serve. Prepare the chicken – with a pair of kitchen scissors, cut off the head and feet. cut the body in 1/2 & the cut out the drumstick, thighs & wings along the joints. chopped the breasts & remaining portions into 2 in pieces. 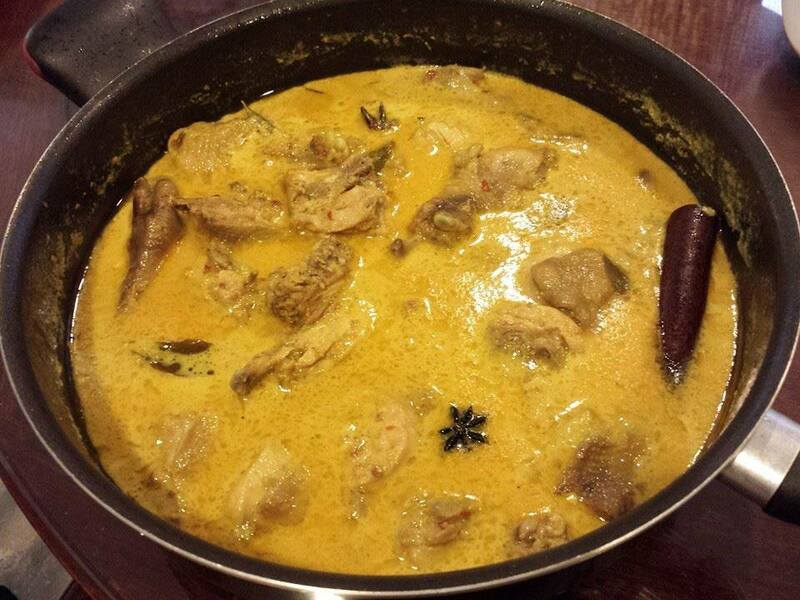 Cook the chicken curry – stir-fry star anise, cinnamon stick & cloves over low heat. add in the spice paste and stir-fry till fragrant. 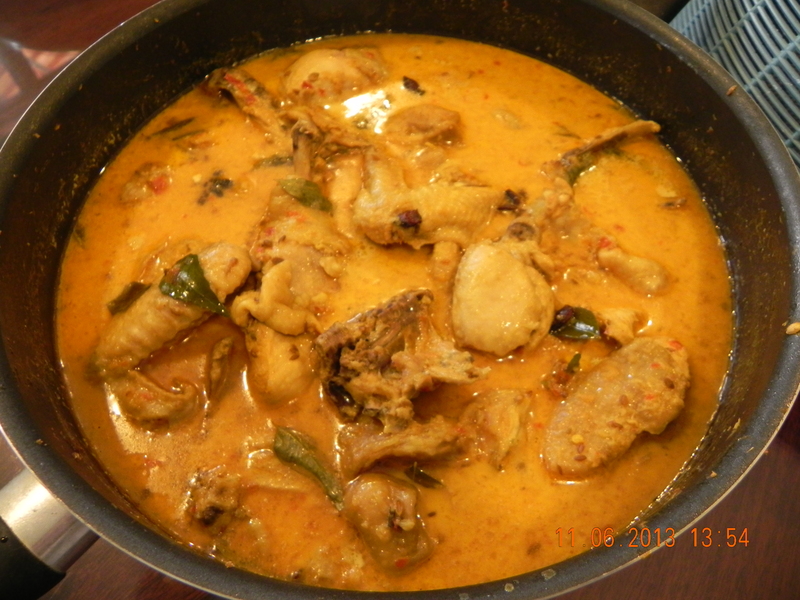 add the curry leaves and cut chicken pieces and fry them really well. add water, cover with lid, and braise over low heat for 40minutes OR until chicken is cooked. after 10mins, use a pair of tongs to pick out the chicken breasts & rest them above the curry liquid on pieces with bones etc so they won’t be overcooked and remain tender & juicy. add about 100ml coconut for the lemak taste & a teaspoon tumeric powder for the colour. add salt & sugar to taste. serve. 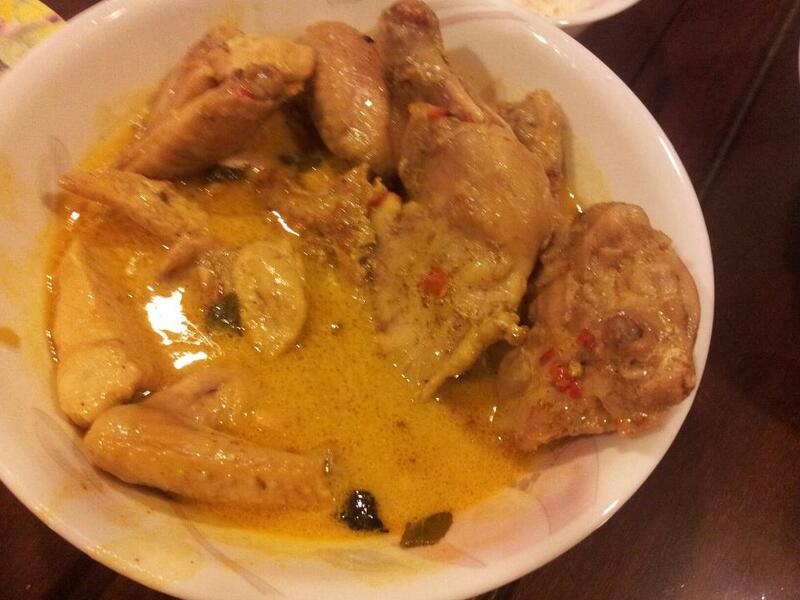 This entry was posted in Recipes and tagged curry chicken, nasi padang, nonya, Zion Road. Bookmark the permalink.